We utilize a variety of quoting, enrollment, and compliance solutions based on your industry and the size of your workforce. Our cutting edge solutions will help streamline your business. Are you a "White Collar Firm" where employees want an easy paperless method to enroll and modify their benefits throughout the year with minimum hassle? Are you an "Engineering or Health Care Firm" where employees need increased limits and disability coverage for their higher salaries? Do you have a "Blue Collar Workforce" that possibly includes Hispanic workers that need extra enrollment assistance? Do you have a "Multi Location / Multi State Employees" and don't have access to complete and submit enrollment forms and changes to your corporate office? 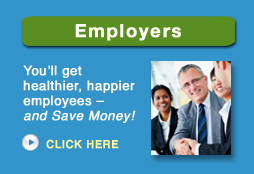 Is your "Human Resources Professional" doing all the work at open enrollment with minimal assistance from your broker? Contact us for customized solutions that meet your organization's individual needs!